If we update an Asset with a new version is there a way of notifying users that downloaded the previous version? Use Brandkit's Email Users function. Email Users can be used to email, All Users, All users that have previously downloaded the selected assets or to a specific User Role (e.g. Staff). Email Users is initiated by an Admin user (it's not automatically triggered by uploading a new Version). If uploading a new version: Select the Asset you want to update and upload new version - this will update the Asset's original file, storing the previous version for rollback if required, but will maintain the existing Asset ID and Tags etc. Select any (updated, expiring, etc) Asset (or multiple Assets selected) in the basket, click the Email Users button to display the Email Users modal window. In the Recipients dropdown - select the "All users who have previously downloaded these assets" option. 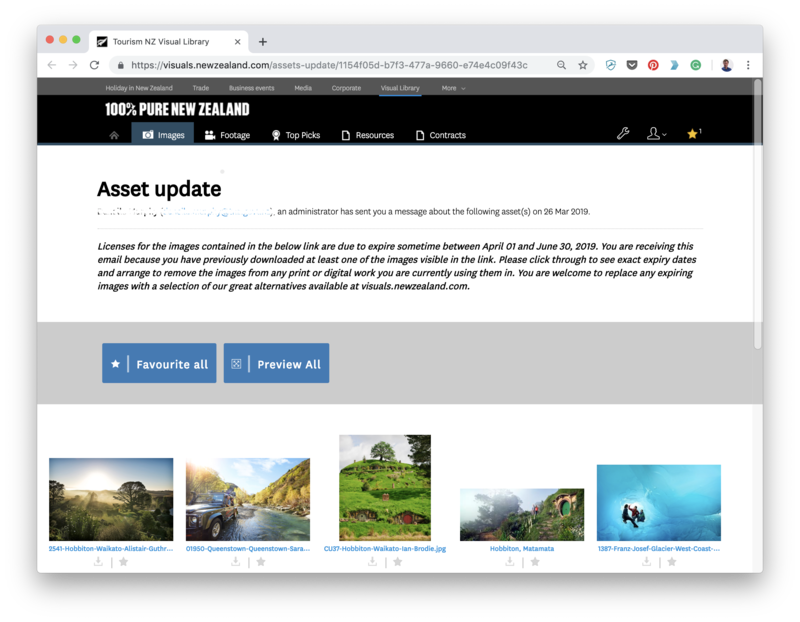 This will send the email to any users who has downloaded one or more of the selected assets, with a link to view/review the affected Assets including an image preview. if you don't use Versioning but instead create a new Asset (with the intent of archiving the old asset), then you would need to have both the new and old assets selected - in order for your email to reach users who previously downloaded the old asset. You can use Email Users anytime - not just when you have new versions. Some customers used Email Users when Assets are getting close to Expiry to suggest some action. Some customers use Email users to announce a new batch of Assets. While Email Users is initiated by an Admin, there is also automatic Recommended Notifications triggered when you either (a) change the Expiry date or (b) change the Licence of an asset. These are not triggered by uploading a new version. Recommended Notifications are addressed to any user that has previous downloaded that particular Asset. An Admin then has to Approve the Recommended Notification before it is sent to Users.